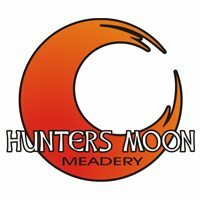 We are a small Meadery in Northern Colorado. Our meads are made with honey from our own bees! After only being in business for 4 months we won 2 International Medals @ Mazer Cup International. A silver medal for our Sweet Mountain Berry Melomel and a bronze for our experimental batch of coffee mead, Howling Moon. Batches of these 2 winning meads are currently in the works. We currently have 4 separate beeyards and a fifth beeyard coming on-line next summer. Currently we have 50 beehives. Honey varies from hive to hive and year to year, as a result so do our meads. We are a small Family Owned Meadery in Northern Colorado. Our meads are made with honey from our own bees. We brew in small batches of 15 to 165 gallons. Easiest way to get to us for most is from East Harmony exit off of I-25. East Harmony becomes County Road 74 that runs thru the town of Severance. Our subdivision is between County Road 23 and County Road 21. Entrance to subdivision is across from 74 XPress Gas Station. Subdivision name is Settlers Landing. Please Call first. We have no set hours. We host PRIVATE TASTINGS by APPOINTMENT ONLY. Usually we can accommodate visitors on short notice.